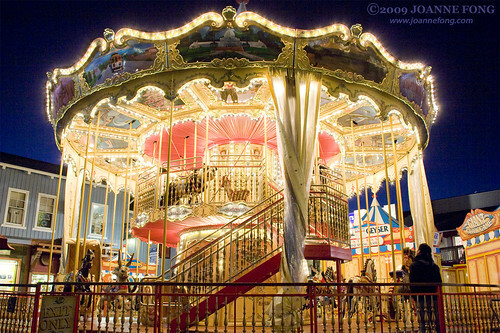 I’ve been wanting to shoot a carousel at night, and the one at Pier 39, despite being smack in the middle of a tourist trap, is quite lovely. ~ by Joanne on September 26, 2009. Wow. That is beautiful and inviting and a bit eerie all at the same time!